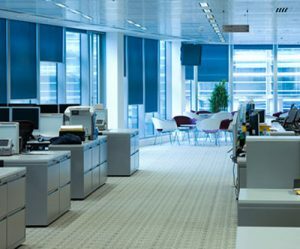 When you are moving out of your office space, retail store, warehouse or any other commercial property, you need to make sure that it is left in a clean state. With the huge bonds that are required for these areas you do not want to leave anything to chance so make sure that you get Nationwide Cleaning on the job, we offer expert vacate cleaning in Melbourne. We can clean almost any commercial site, be it a small office or a huge warehouse, a polished retail store or a complex factory. There is no job too small, too big, too complicated or intricate. Nationwide Cleaning can do it. We have years of experience in end of lease cleaning, we understand what is required and we know what is riding on it so we will deliver. That is a promise. Our staff will clean all the windows, give the carpet a steam clean, give the toilet and kitchen a thorough clean, mop the floor, do general dusting including high dusting, floor polishing and any other specific areas you ask us to clean. We clean nearly everything to make the place look polished and ready for inspection. When you need move out cleaning in Melbourne you need Nationwide Cleaning, we will make sure that your space is ready for the landlord to give it the once over with a white glove. Call us today to see what we can do for you tomorrow. Nationwide Cleaning, your end of lease and vacate cleaners.